Transport Minister Shane Ross is being asked to bail out his Fine Gael colleagues by providing up to €30m from his department for the National Children’s Hospital. The Cabinet will today be presented with a contentious list of projects that will have to be delayed or curtailed to keep the hospital’s construction on track. As Health Minister Simon Harris prepares to fight back against a Sinn Féin motion of no confidence, he will be relying heavily on his Independent Alliance colleagues for financial support. A €100m funding gap will have to be plugged this year alone, with half the money coming from savings elsewhere in the Department of Health. But Mr Ross has been asked to cut about €30m from a number of road improvement schemes and other transport projects. It is believed the Department of Rural Affairs also faces a sizeable cut. The Irish Independent understands a substantial portion of the savings will come from delays to the commencement of work on the A5 motorway which is to link Dublin to Derry. 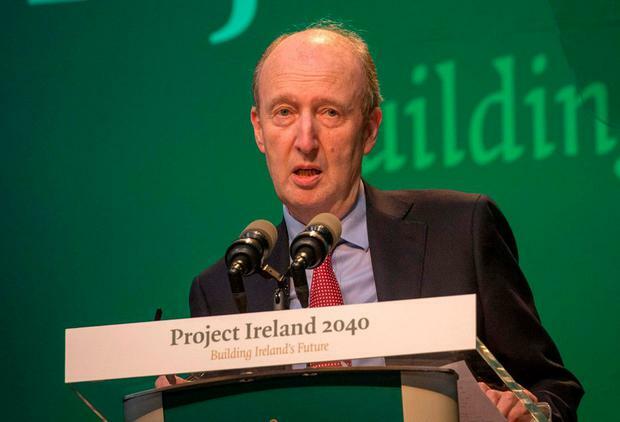 The rollout of some funds announced as part of Project Ireland 2040, including the Rural Development Fund, will also be temporarily delayed. Five other departments, including housing and education, will have to cough up around €3m each. The extra €9m allocated to the OPW for flood schemes this year is also likely to be reduced by €3m. Finance Minister Paschal Donohoe will bring a list of capital projects affected to Cabinet today in order to end the “phantom panic” over what will be hit. Opposition TDs have spent recent days claiming a variety of projects are to be hit. “We need to draw a line under this. Given the scale of the capital plan, it’s not that big of a day,” said a Government source. However, the development is likely to cause serious tensions within Government ahead of a no-confidence motion which Sinn Féin plans to table. Sources noted Mr Ross already took “the hit” in Budget 2019 when it was decided to raise the special VAT rate for the tourism industry by 4.5pc. The hike is expected to raise €466m for the Exchequer this year. The Independent Alliance campaigned strongly against the increase during the Budget process but relented on Mr Donohoe’s insistence. Sinn Féin, which will place a no-confidence motion before the Dáil next week, has criticised plans to find savings from the existing capital expenditure for 2019 of €7.3bn. The party noted the Government is putting €500m into a ‘Rainy Day Fund’. Mr Harris is expected to apologise to the Dáil today for not providing more information on the cost overruns at the Children’s Hospital sooner.